Join some Jvloggers enjoying Japanese craft beer at the Yanaka Beer Hall in Nippori while discussing the traditional Yanaka area of Tokyo and Japanese history. First beer is Yanaka Beer. Life-size Unicorn Gundam (19.7 meters – 64 feet) replaced the older model Gundam in Odaiba in 2017. Visitors can watch it transform into Destroy Mode several times a day. In the old Japanese capital of Nara, deer have been living there free from being turned into burgers for over a thousand years. They live relatively comfortable fed by hordes of photo-snapping tourists. Supposedly close contact with people have given them human characteristics. If you bow to them, the deer will bow back. 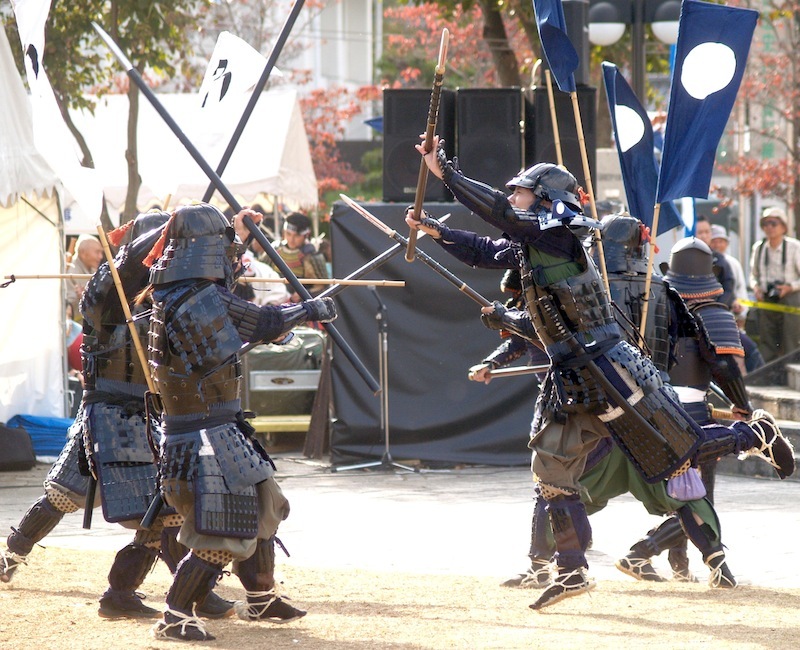 Samurai Girls fight with spear and sword at a Shinsengumi Festival in Tokyo. Shinsengumi were a special police force in Kyoto who kept the peace for the Shogun at a bloody price in the 1860s. 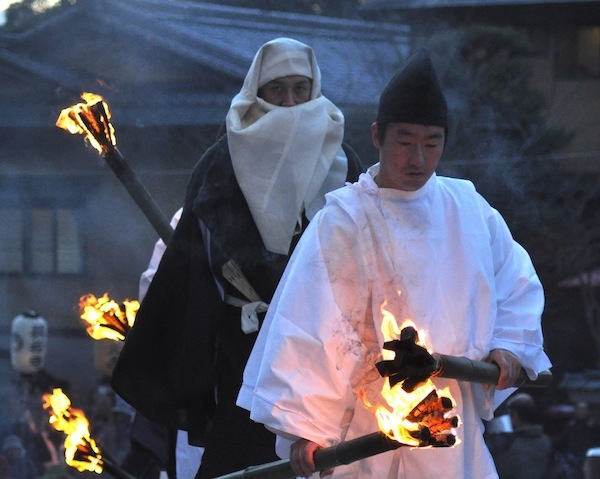 Every April, Yasukuni Shrine holds a honozumo which is a ceremonial sumo event at a shrine. It’s free and open to the first 6000 people. This is one of the few chances to catch a yokozuna match where the top ranked wrestlers compete. Usually this only happens on the last day of a tournament which is often sold out. This year (2013) newly promoted yokozuna Harumafuji faced off against the reigning yokozuna Hakuho for their first yokozuna match at Yasukuni Shrine. I was rather surprised by the results. Spring is the time of cherry blossoms in Japan and Japanese love their hanami. Hanami is cherry blossom viewing parties where people gather under the sakura blossoms and make merry. 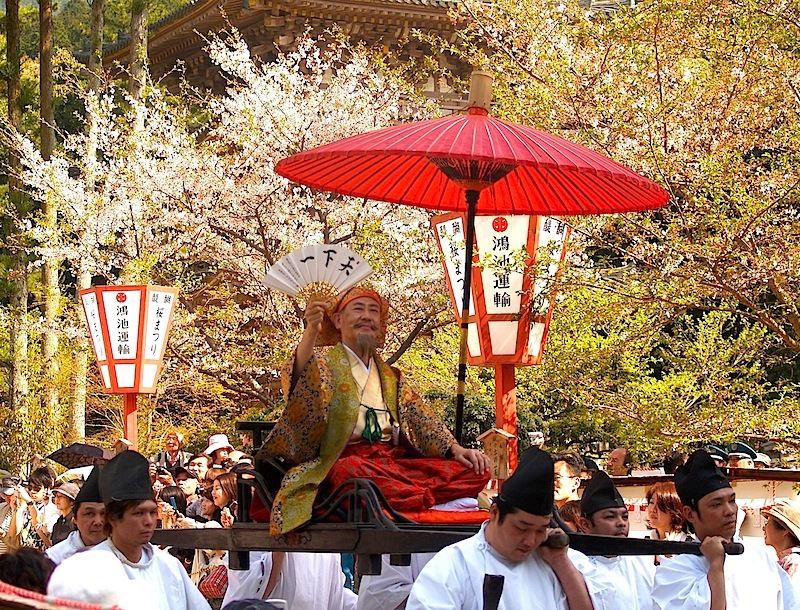 One of the grandest hanami events ever held was over 400 years ago at Daigo Temple in Kyoto. 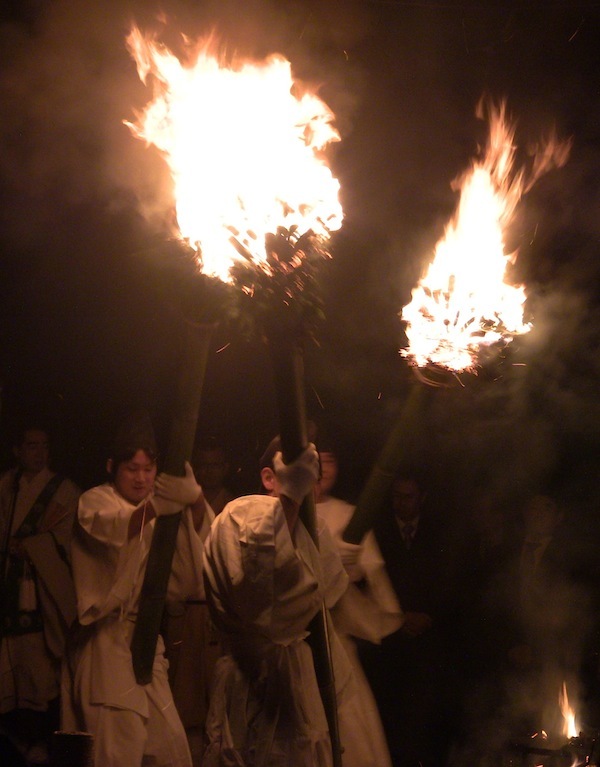 The host of this hanami was the most powerful man in Japan at the time, Toyotomi Hideyoshi and this gala event could be see as the culmination of an extraordinary life which began in a farmer’s hut. 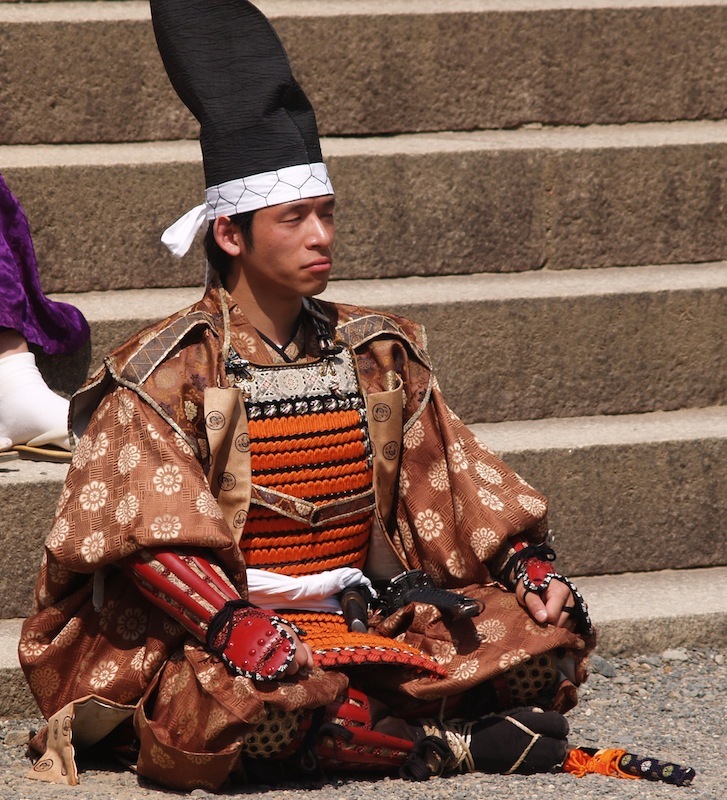 Toyotomi was the medieval Japan’s ultimate rags-to-riches story. Toyotomi was born to a poor farmer/foot soldier during a time of anarchy known as the Sengoku Period or Warring States when Japan was torn apart by feuding warlords. He joined the services of Oda Nobunaga an innovative warlord who began unifying the land. After Oda’s death, Toyotomi continued this work and by 1590 succeeded in uniting all the warring factions in the country. 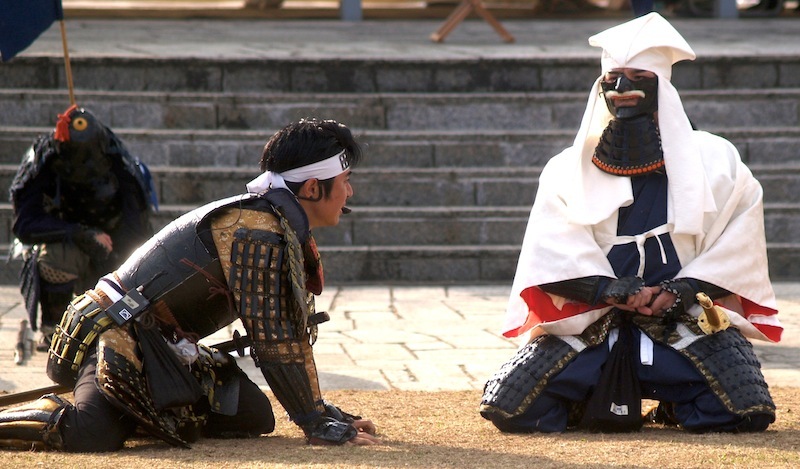 Toyotomi became the strongest leader in Japan but he could not claim the title of Shogun due to his low origins. 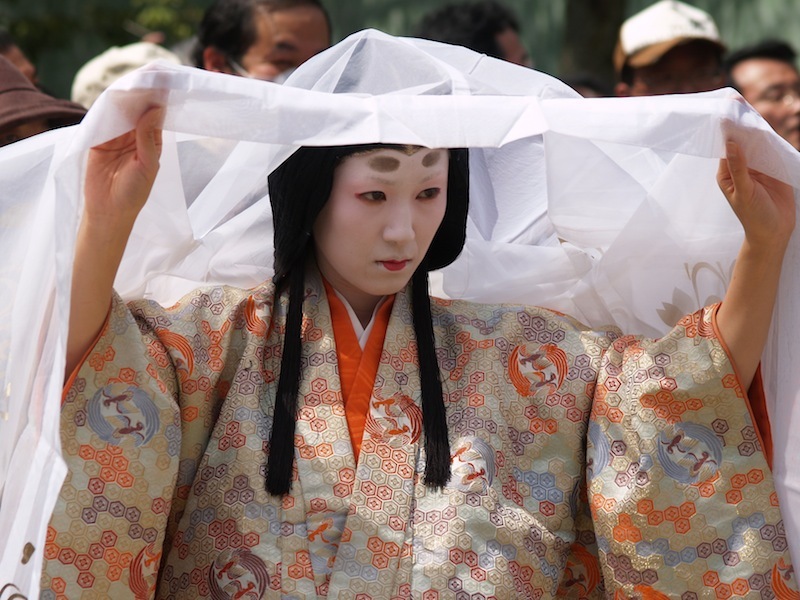 He was given the title of Kampaku by the Imperial Court. Kampaku was officially an advisor to an adult emperor but it was only formality. 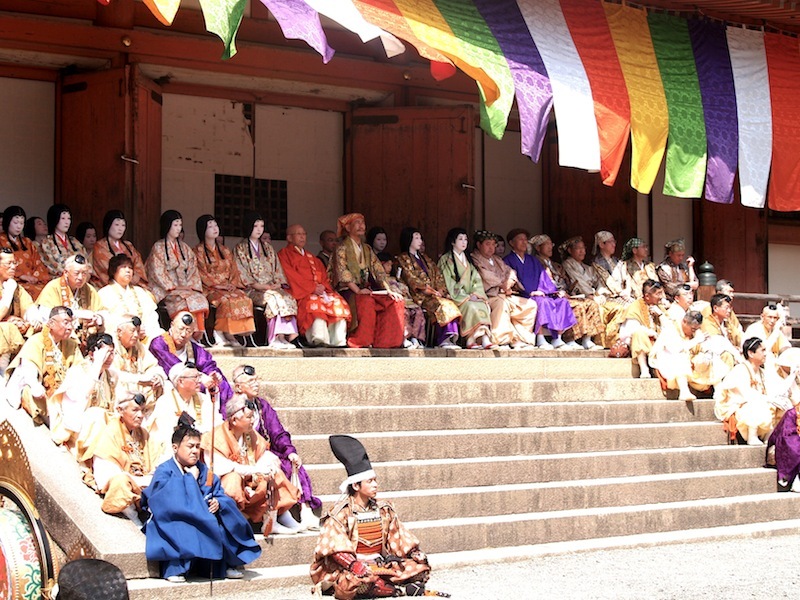 Toyotomi ruled the country like the Kampaku advisors and regents had centuries ago. 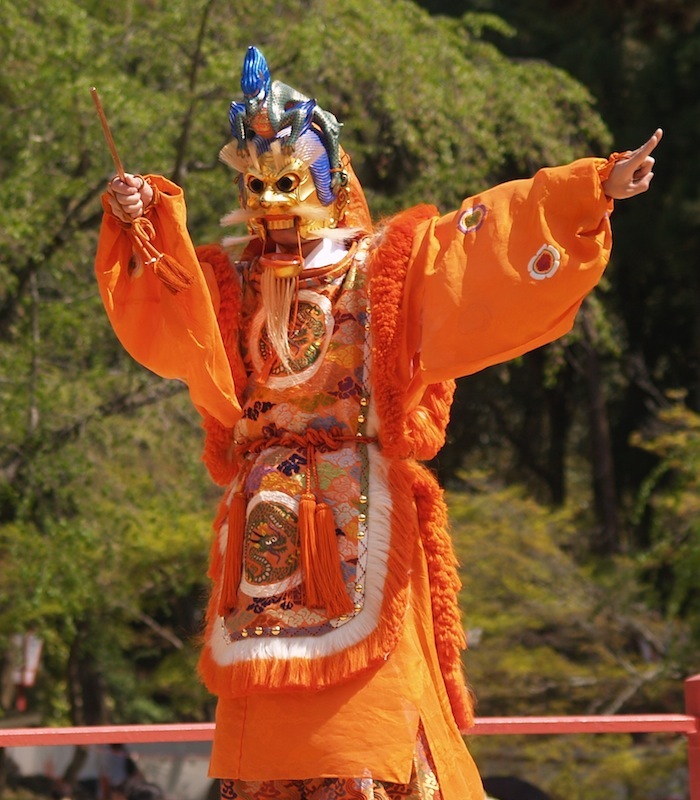 In 1591, he “retired” and took the title of Taiko which is a retired Kampaku. In reality, he remained fully in control. In fact the very next year, Toyotomi launched a massive military expedition against Korea in a grandiose scheme to conqueror Korea and Japan. Despite or perhaps because of his simple beginnings, Toyotomi liked to live it up. He liked pomp and ceremony, fancy attire, and lavish parties. His cherry blossom party at Daigoji was one of his most sumptuous. At his side was his young son and heir, Hideyori along with his wife and mistresses. It was to be his last great outing though as he would passed away 5 months later leaving the future of his heir in doubt. 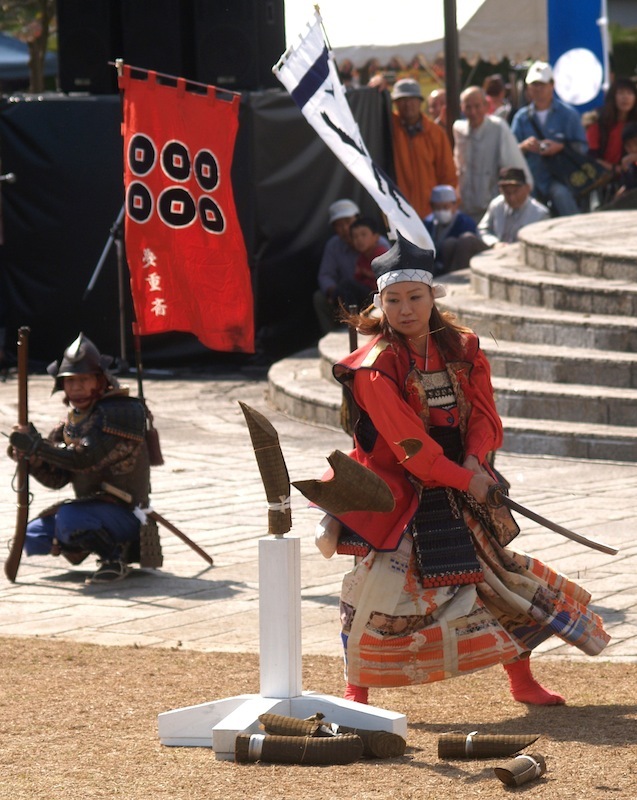 In the small town of Sekigahara a festival is put on to commemorate one of the most decisive battles in Japanese history – the Battle of Sekigahara. In 1600, two massive armies converge on Sekigahara and fought a great battle. The winner, Tokugawa Ieyasu went on to become shogun and started a new era known as the Edo Period named after his capital which is today Tokyo. 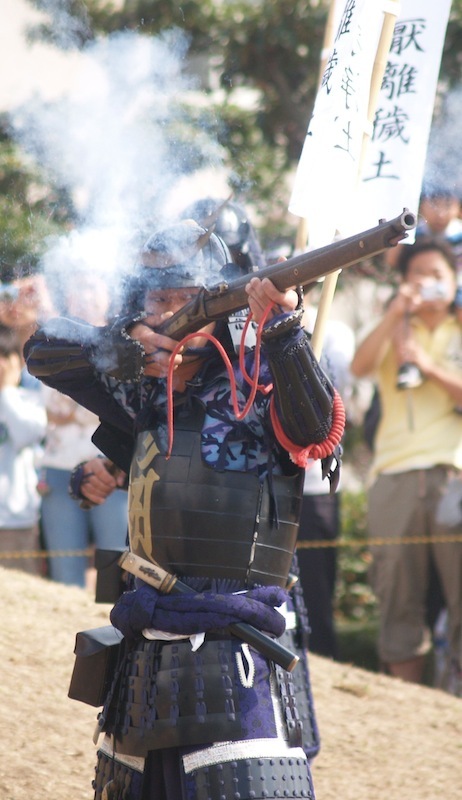 The main star at the festival is not either of the two opposing leaders suprisingly but Otani Yoshitsugu, a warlord suffering from leprosy who fought for the Western Army against Tokugawa. He’s the tragic hero of the tale of Sekigahara. It’s his forces which get attacked from the rear by a turncoat by the name Kobayakawa Hideaki. Overall it’s a small re-enactment for such a pivotal piece of history but they do a good job with the drama. In Tokyo’s Harajuku area, they throw a parade to celebrate St. Patrick’s Day. It’s been going on for sometime and has grown over the years. Marching bands, bagpipers, dancers, Irish settlers, dancing Guinness cans, and samurai(?) all make their appearance. It’s good fun! 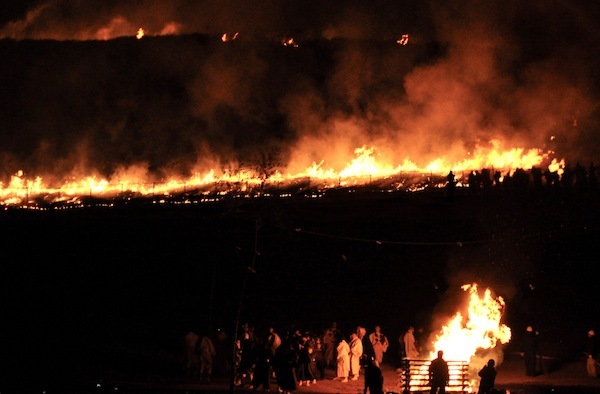 Wakakusayama Yaki is an annual Japanese fire festival in winter where they burn the dead grass on Mt. Wakakusa. The origins of the festival are unclear. 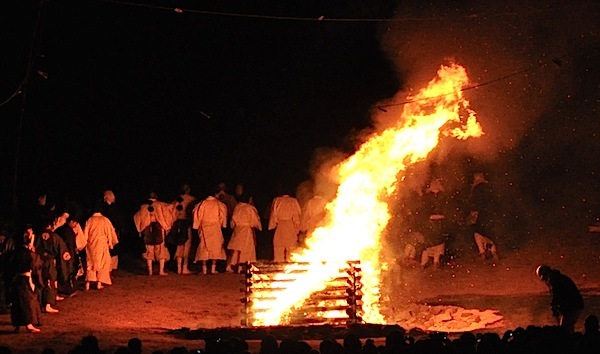 The most popular explanation is that the fire festival came out of a territorial dispute between two local temples. Others say the fire was more practical in driving off wild animals and insects. Whatever the origin, it’s a sight to see. 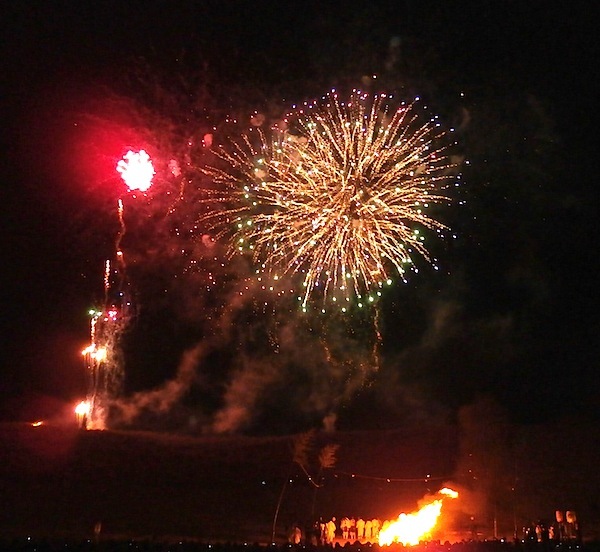 Before the fire, they set off 200 fireworks. 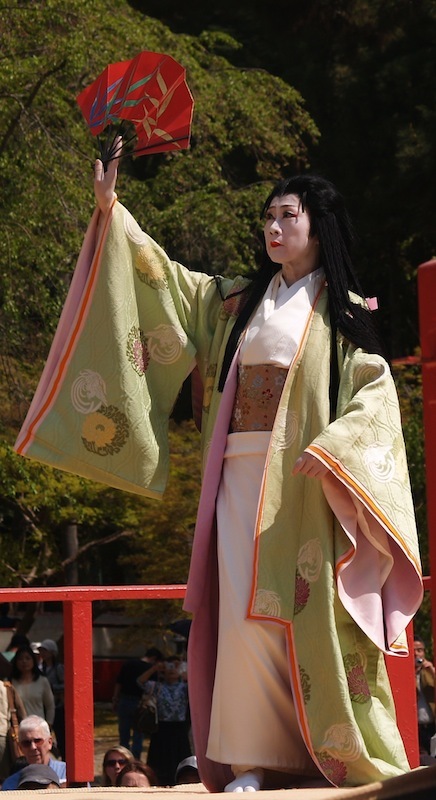 They also have a live show which being Japan is always entertaining and amusing.